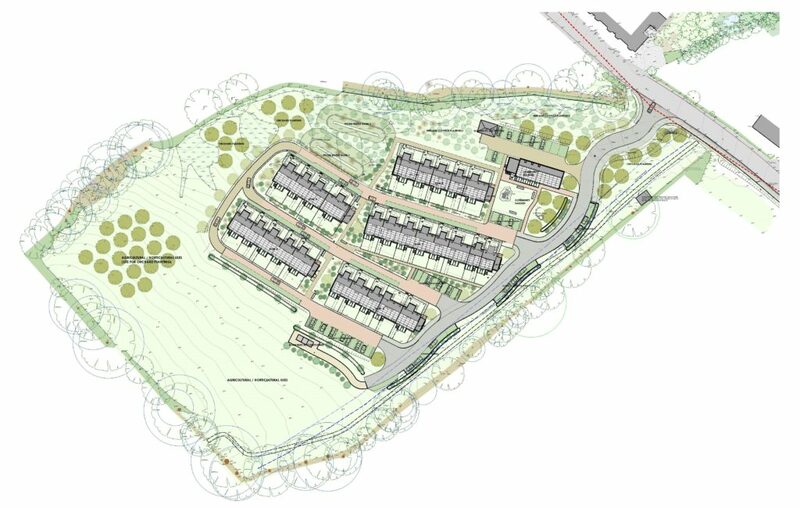 Transition Homes Community Land Trust is developing a scheme of 27 eco-homes on a site, Clay Park, in Dartington parish. The majority of the homes (70%) are affordable rental & shared ownership for local people with a proportion of market housing required for cross-subsidy. This page provides information on the planning application, registering your interest as a potential resident of the site, and our contact details. This page will be updated with relevant news and information about the CLT and the proposed development, including CLT membership, and volunteer opportunities when we get to the construction stage. Would you become a supporter of Transition Homes? We're a small charity run by volunteers and yet we have bought land and obtained planning permission for a £6million, 70% affordable housing scheme - we do a lot with a little! We're pretty good at getting grants for the Clay Park scheme, but it's less easy to find grant funders who are willing to cover the core costs of a charity. We need just over £2000 a year to cover our core costs (i.e. our overheads, separate to the project costs of delivering Clay Park), which are very minimal. We've got 400 people on our mailing list - if just 10% could give a regular donation of £5 a month this would cover all of our annual costs. If you are able to give a regular donation, please complete our supporter form. Thank you!